flirt and have a great time. Talk Cafe is where exciting local singles meet. In fact, your dream date could be ready and waiting for you right now! With so many locals to choose from, how can you go wrong? Whether you’re looking for the man of your dreams or a guy who is easy to talk with, Talk Cafe provides you with an ideal way to meet hundreds of eligible bachelors. 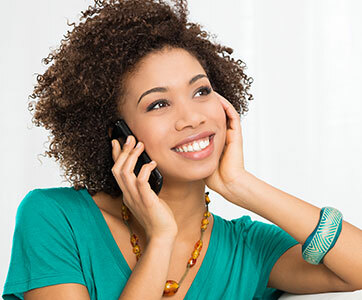 With Talk Cafe you can flirt, laugh and find romance right over the phone without giving out your number. Call Talk Cafe just for fun, to find a relationship or to make plans, anonymous & safe! "I never would have met my husband if it wasn't for TalkCafe. Thanks TalkCafe!" "I thought these chat lines were a waste of money, boy was I wrong!" "I have met some great people on TalkCafe and can't wait for my call backs!" It’s finally happened. You have a new beau. Things are great between the two of you. Your weekends are filled with interesting dates, great conversation and other more private activities. It’s fun, it’s easy and it’s just the two of you. But you eventually will have to introduce your great catch to your friends and family. Get excited, but follow these dos and don’t for successfully sharing your boyfriend or girlfriend to your nearest and dearest.